We had the pleasure of completing a variety of projects for Fran. 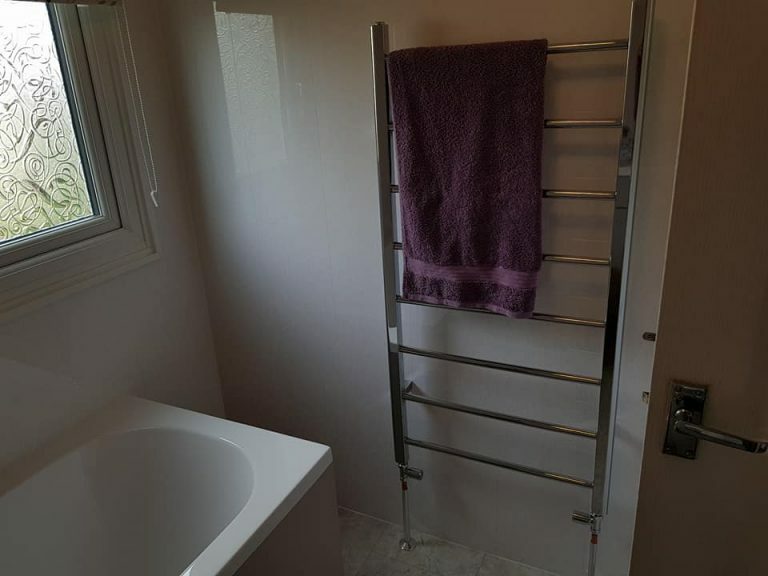 She had not long been living in the park home and several areas required work. 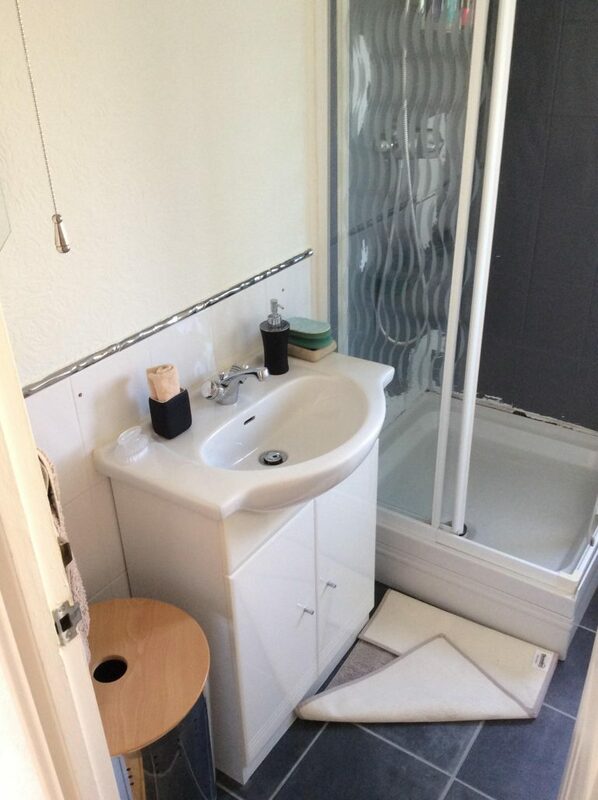 The park home bathroom refurbishment is the focus of this case study and the project was a major transformation. The old shower was dated and where tile paint had been applied it was peeling off. 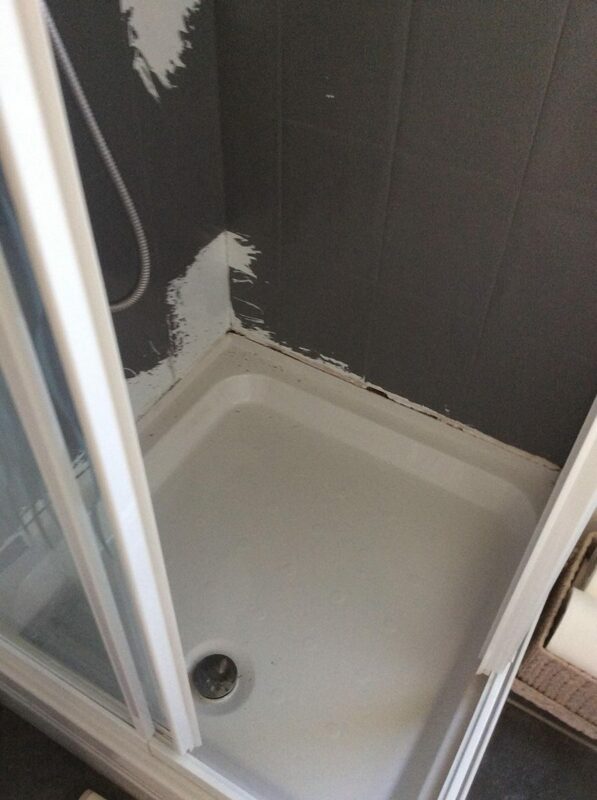 Fran wanted to replace her shower with a bath, mixer tap and shower screen so she had the best of both worlds. 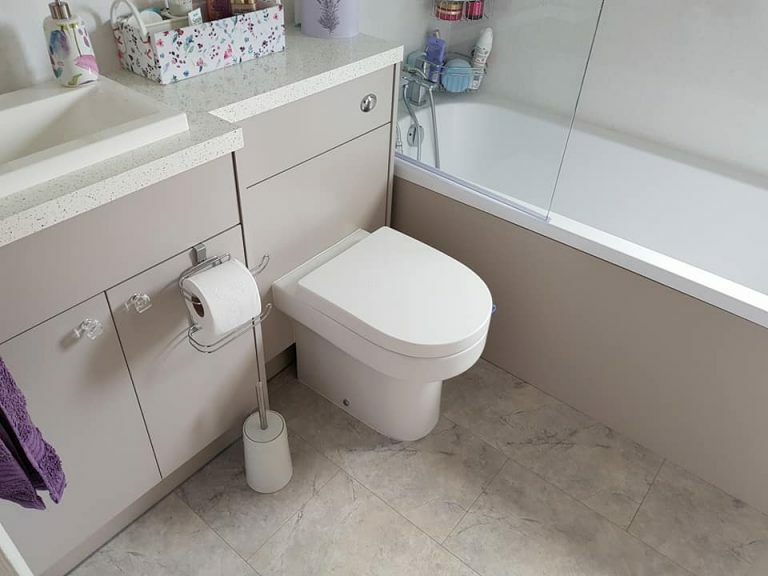 To accomodate the new bath we moved the toilet next to the sink and housed it in a modern cashmere vanity unit with sparkle effect tops to give it the wow factor. We also moved the dividing wall between the dining area and bathroom over by approximately 18 inches. 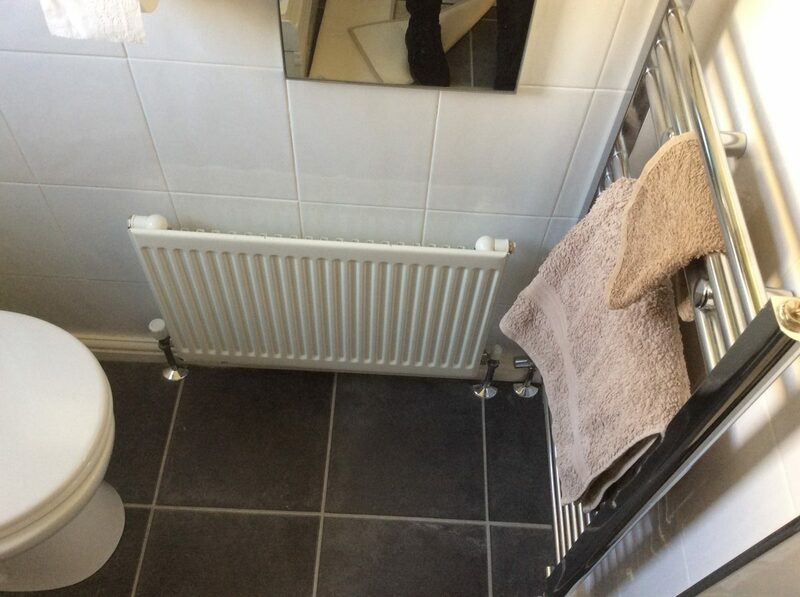 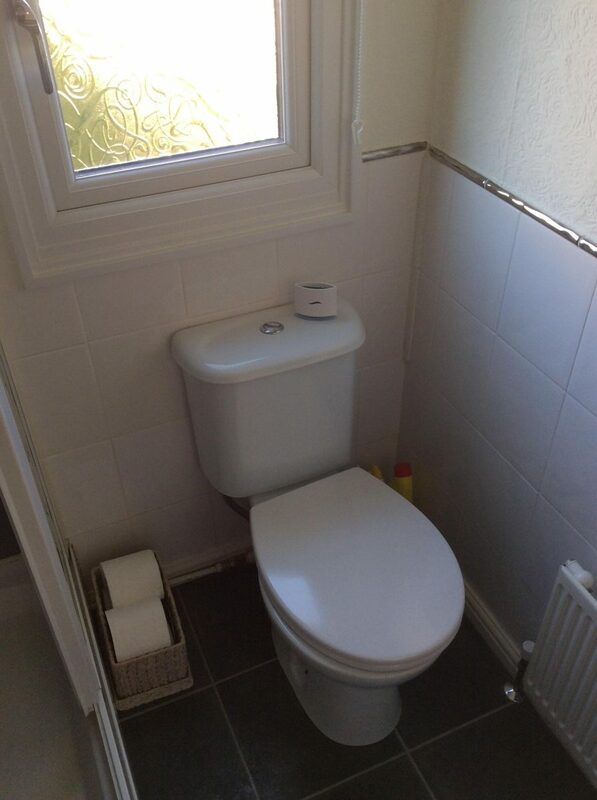 This made use of what was otherwise wasted space to make the bathroom that bit more roomy. 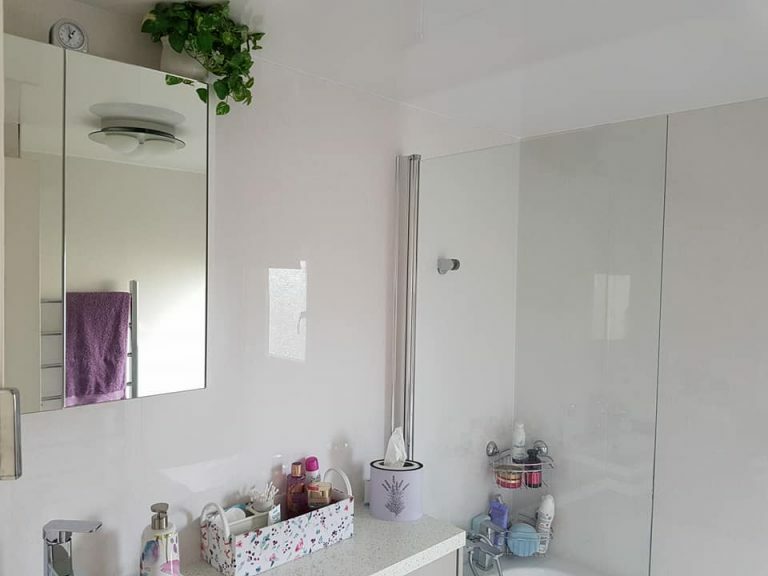 Fran chose white high gloss aqua board for the walls and ceiling which made for an easy clean finish as well as reflecting light to make the room feel more spacious and bright. 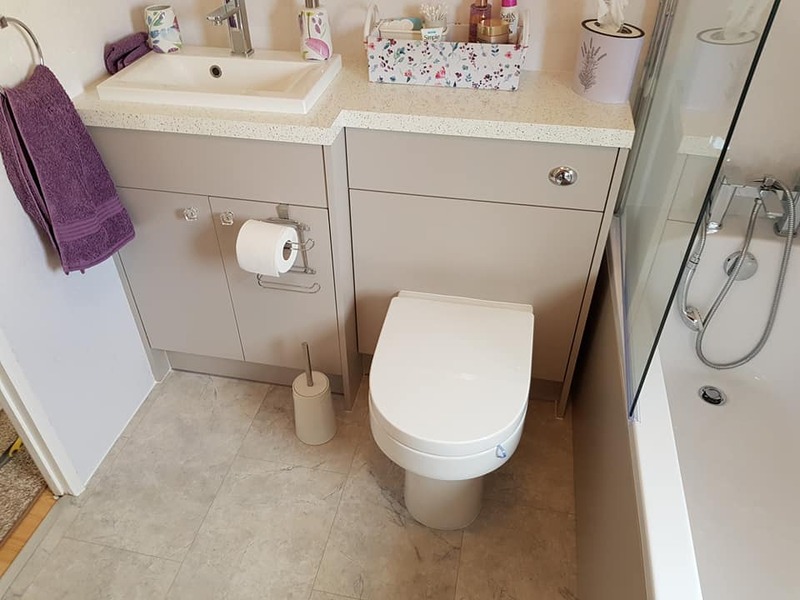 The finishing touches included a mirrored bathroom cabinet, chrome taps, cut glass knobs, modern chrome towel radiator, a slow close toilet seat and a custom made bath panel that matches the cashmere vanity unit. 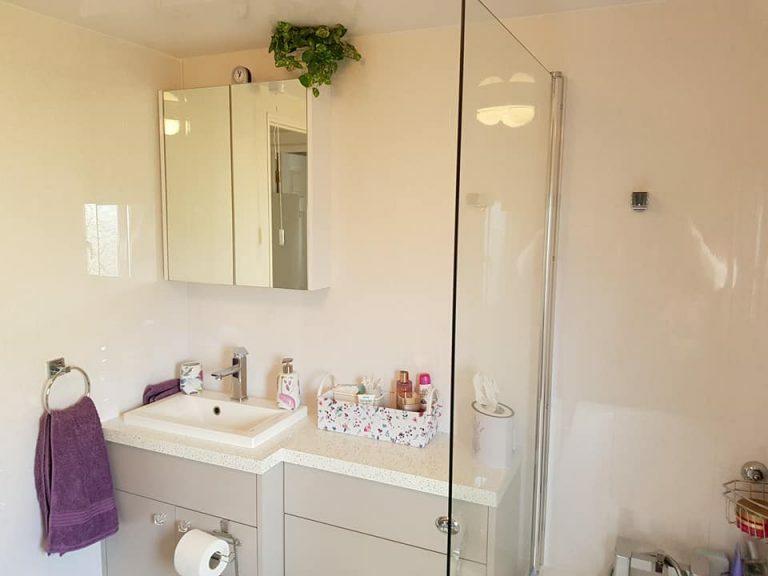 Fran’s bathroom is modern, clean and bright. 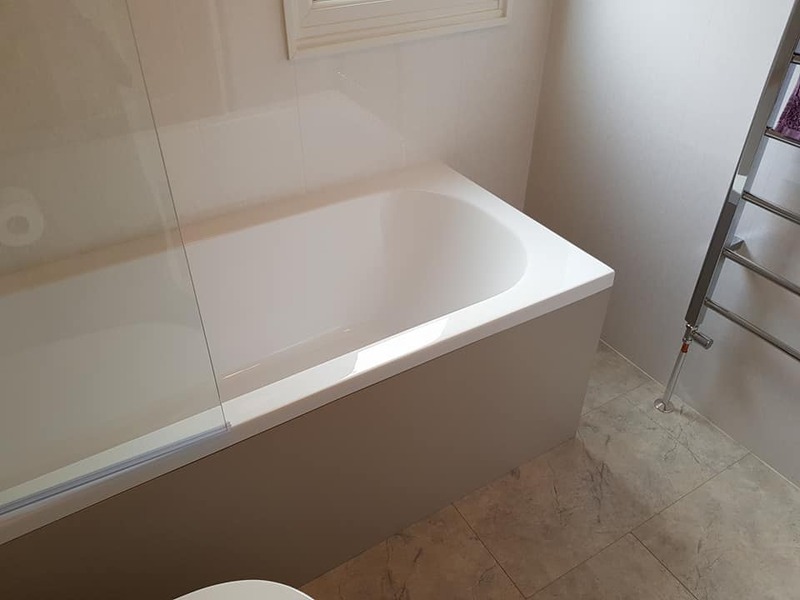 The bath makes for the ideal place to soak and relax, and the muted colour scheme makes it a light airy yet luxurious space to unwind. Read more about bathrooms from Black Box or follow us on Facebook or Twitter for the latest offers, recent projects and park home ideas.